It's a shot glass and chaser all in one. If you’re like me, then the minute it starts getting even remotely chilly outside, you head for the hot cocoa, stat. It's the perfect drink to keep you warm when everything outside is cold and frightful. And everyone knows the absolute best topping for hot chocolate is whipped cream and marshmallows. But what if you could serve your hot cocoa in a marshmallow? Delish posted the recipe on YouTube so that you can take your homemade hot cocoa recipe and increase the wow factor by at least 1000 percent, almost guaranteed. 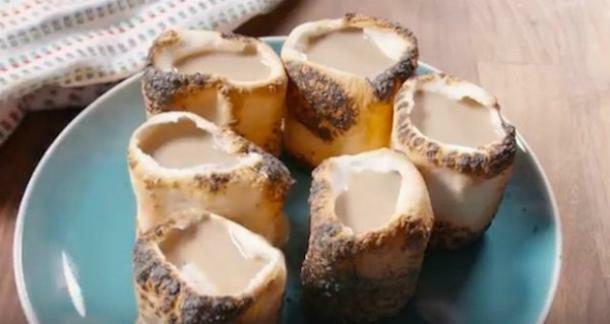 Yes, you can turn your boring hot cocoa into toasted marshmallow shot glasses. 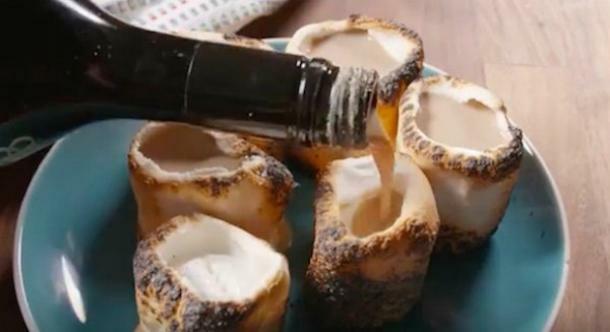 Marshmallow shooter “cups” can be used for just about anything. Toast them and serve them warm with a good heaping of cocoa, or, if you’d like to make yours a magical adult addition to your next party, then add some delicious and amazing Bailey’s Irish Cream! So just how can you make these awesome treats for your own winter get-together? Well, lucky for us, Delish decided to share their wonderful recipe with us. It’s simple enough to replicate, and all it takes is jumbo marshmallows, heat, and the drink of your choice. You’ll just need to poke a fork into the bottom of your marshmallow, then hold it over the heat of your stove burner. It only takes about two minutes, or until the outside of the marshmallow is toasted to your preference. Since these will be hot, you won’t be able to pull them off of the fork yourself, so you’ll need to use another fork to push it onto a plate. 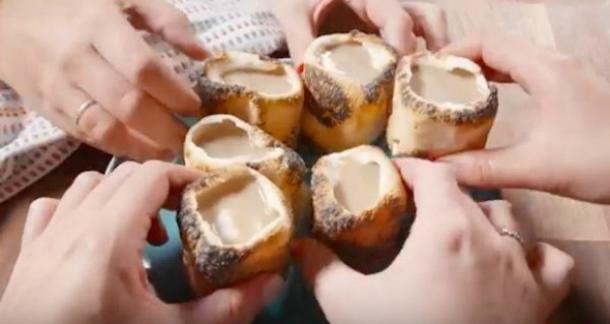 Once a well forms in the center, you will have your very own toasted marshmallow shot glass! You can put the Bailey’s in there and then chase it with cocoa, or just drink the cocoa straight from it if you’re making them with family.